Established in 2007, PureCars offers car dealerships, OEMs and automotive agencies a suite of marketing solutions to drive high-probability buyers to a dealer’s site, optimize traffic once on their site, and convert those customers in the showroom. PureCars’ approach to digital advertising provides SmartAdvertising technology that has helped thousands of dealers beat their competition to sell more new and used vehicles. They offer an integrated multi-channel digital advertising solution to dealers which ensures they’re delivering the most relevant ads to the shoppers who are most interested in a vehicle. 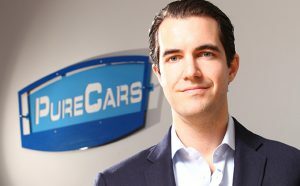 PureCars’ SmartAdvertising platform (recognized by Digital Dealer as a “Most Innovative Product”) has propelled the company onto the Inc. 5000 four times and helped to make PureCars a Premier Google Partner. PureCars is also backed by Raycom Media, one of the nation’s largest privately-held media companies. The company is headquartered in Charleston, S.C., and Atlanta, Ga.